It helps if you get them in order. 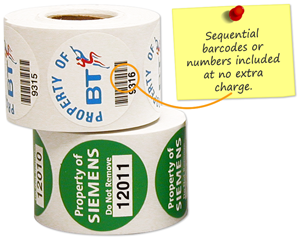 Check out our affordable Custom Sequential Number Labels or barcode labels. 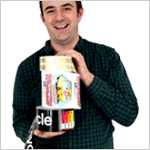 Get an instant, no obligation quote and enjoy your savings. • Find over 40 different shapes and sizes. 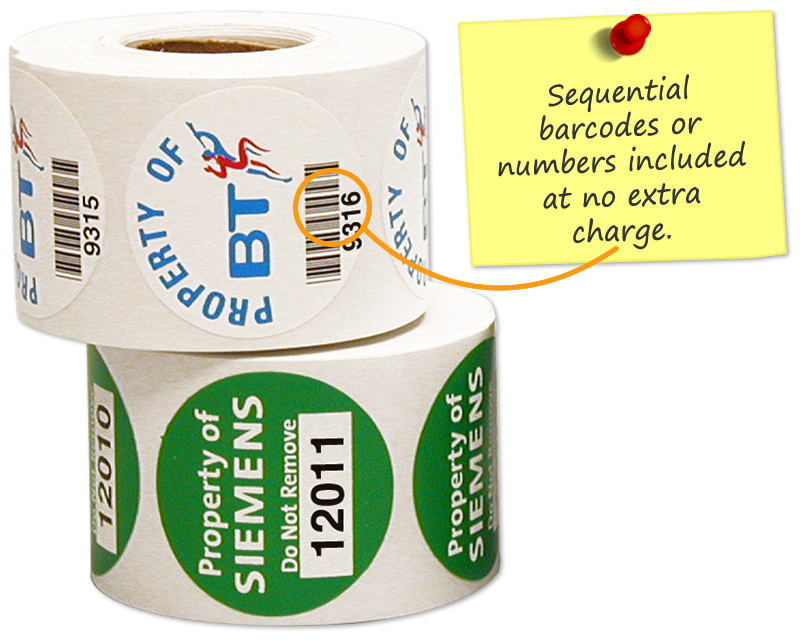 Choose either sequential numbers or barcodes. We also handle variable numbering, too. Just contact our sales team. • Choose any number of colors. Choose either thermal and digital printing, in rolls or sheets, respectively. 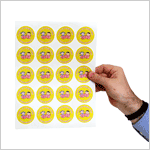 • Materials include durable vinyl and low cost paper. • Art is included and we'll turn any rough sketch into finished art at no charge. Choose any color and starting number. 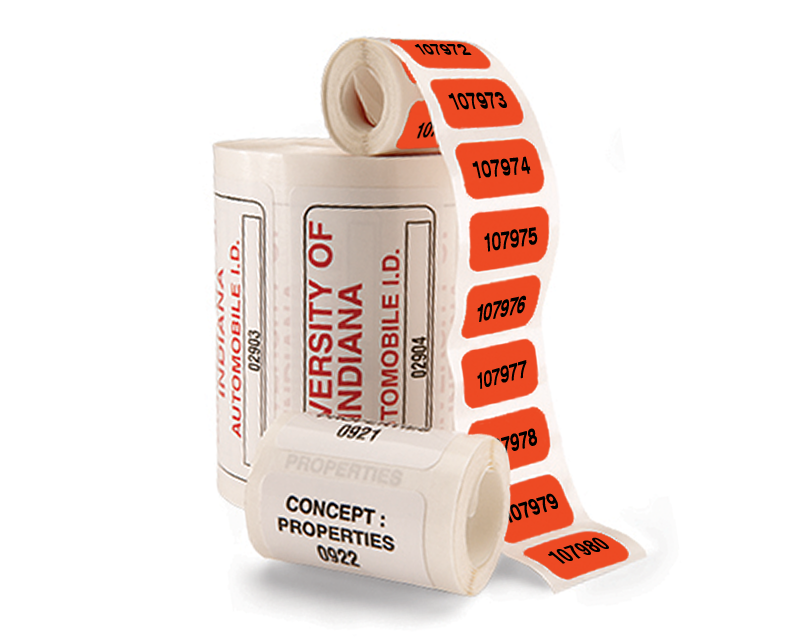 Labels come in convenient label dispenser.